There are many factors which need to be considered when calculating how much rent to charge. Choosing the correct price means you get the most rent for your property – (Residential / commercial) without scaring away potential tenants by overpricing. Location: The real estate advantage "location, location, location" applies equally to rental values as to selling values. In other words where your property is located well, to a large extent, determine how much you can realistically ask in rent. Its proximity to desirable venues such as Major bus terminals, Railway stations, national and international airport, universities/colleges or sporting/special events will impact on the demand and therefore the rental value. The real estate rental trends in the commercial sector are momentous as the key tendency among the investors is to rent a commercial space instead of buying since it facilitates low risk and less worry on maintenance. Commercial Rentals including corporate office space, BPO spaces, mall space, shops and Showrooms are an integral part of the commercial rentals in India. As per the article published by one of the economic daily high rentals has become a stumbling block for the retail expansion in India. It has stated how high rental rates have become a hindrance to growth of many corporate. If this situation will continue for long do we think India will develop at the projected growth rate? How can the present situation be turned to a win-win situation from win-loose situation? With property boom spreading in all directions, real estate in India is touching new heights. Noida’s story is something which we can’t afford to miss out. The real estate in Noida is hitting the sky, which is due to a large migration of people from Delhi who are being bullish to make it their home. New Okhla Industrial Development Authority (Noida) is known to be the largest industrial town of Asia, but now it has undergone a paradigm shift in the last few years. Being a part of Uttar Pradesh, Noida cannot be spared from the problems prevailing in the state. Despite all, the individuals who have shifted their base to Noida witness to live a splendid life. And today with one more reason for all the real estate players in Noida is none other than the proposed second international airport at Greater Noida. The development is likely to give a push to prices of residential and commercial property projects in twin cities of Noida and Greater Noida. 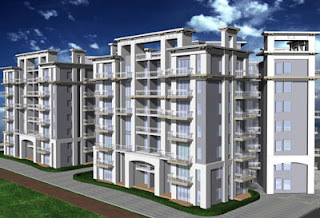 One of the upcoming projects in this place is The Imperial Court, The Kalypso Court, b y Jaypee group at Jaypee Greens. Jaypee Greens is a venture of Jaypee Group, a well-renowned infrastructural and industrial group of northern India with a turnover of over Rs. 3500 crores. The group has forayed into the real estate sector with the distinction of owning an 18 hole "Greg Norman Signature" golf club, 8 Million square feet of real estate development. Jaypee Greens is spread over an area of 450 acres. It comprises golf resorts, villas, townhouses, penthouses, condominiums, studio apartments, commercial complexes and shopping malls. It’s a known fact that India Real Estate sector is booming and it has provided innumerable opportunities for investment throughout the country. All throughout the country, whether it is the metropolitans or the two or three tier cities are exploding with commercial high rises, residential townships, industrial parks and shopping malls. Where should we invest ? Everywhere this question is being asked. Flying high on the wings of booming real estate, property in India has become a dream for every potential investor looking forward to dig profits. Kondhwa , These new real estate properties of Pune flaunt modern lifestyle with amenities like clubhouse, swimming pool, community hall, manicured gardens making these ideal as home. Most of us wish to own a home by the sea, where both Indian and International tourists enjoy the laid back lifestyle all the year round. Goa real estate has proved to be a hot cake amongst NRI’s - property prices in Goa have skyrocketed, new projects are being developed by big Real Estate builders like DLF , Parsvnath.The Goa property market is changing leaps and bounds and has indeed come of age. Panjim, Mapusa and Calangute Beach have emerged as leading real estate hotspots in Goa. 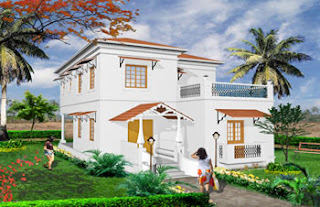 Villas, row houses, lifestyle apartments and shopping arcades are mushrooming all across. White Square Nirvana offers niche homes near some of the most widely known beaches of Goa.This project is positioned such that is away from the hectic city life and has a serene appeal to it. Ghaziabad the place to be. Remember the story of the ugly duckling, who was jeered and laughed at, only to grow up into a beautiful swan? That in a nutshell is the story of Gurgaon, Noida and Ghaziabad as well. Few years back the Ghaziabad was a small place with not much of development happening.But not anymore the skyline of the Ghaziabad region has changed remarkably in the last two-three years.The city has been blessed with some amazing malls,multiplexes,amusement parks, and the entertainment hubs and plethora of well planned townships.Every big brand hastens to have a presence in that region. Small wonder then that the rates of both commercial and residential properties over here have skyrocketed. Indirapuram alone has registered 75%-80% appreciation in the last two years. Strategically located between three cities (Delhi,Ghaziabad and Noida),infrastructure is supposed to be its biggest strength. It also explains why the group built Shipra Mall in the area, which is now one of the largest malls (450,000 sq ft) in the country. 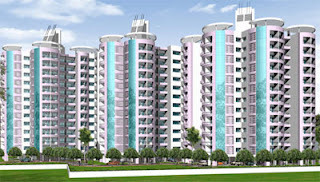 One could buy Assotech Elegante prime residential property in Indirapuram . 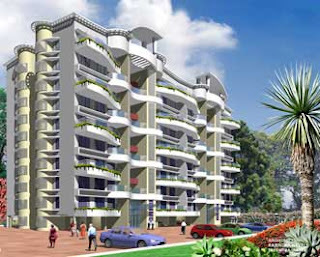 Assotech Elegante comprises of ultra luxurious home inspired by international style of living. Located within the Windsor Park premises at Indirapuram in the National Capital Region it is a G+22 storey tower comprising of 4 bedroom apartments. With one-of-its kind concept and designing the project is surrounded by wide open spaces and enchanting greenery, Éléganté is replete with amenities like luxurious club, shopping mall, departmental store, food court, crèche, business lounge etc. Americans like investing in India. American investors as a safer bet are pouring in their money in Indian property market. In an article in one of the economic daily, many large American funds have invested in the Indian Real estate market in past. The best part of these funds is that they have been able to earn expected returns. The mid sized funds are now experimenting by investing in the Indian real estate market. The past experiences of American funds investing in India have proved to be an attraction for more people outside India. North v/s South – the realty market war. “South is a relatively better market than North” – says a research report by the global financial services Citigroup. In an article on one of the leading economic daily, Southern property market is a better player than the North based on parameters like price environment and demand potential. 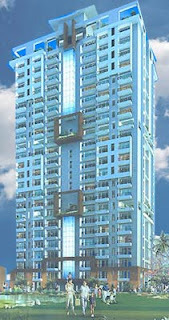 However, one of the major North Indian real estate player – Parsvnath Developers believes otherwise. According to their chairman, per capita income of North is more than South, so is the demand of end users. Afterall, this claim is backed by many mega projects in Mohali, Gurgaon and other major centers. Yet again, there is a competition for the top slot – not just amongst countries but within different regions of the country. As long as the competition is healthy, who’s complaining? It will further streamline the whole real estate market of the country.